Sharing video through Instagram is a powerful way of showing off your videos to a growing network of friends and users. Maybe you think it is impossible to upload a Blu-ray or DVD movie to Instagram as Blu-ray/DVD files cannot be uploaded directly to Instagram. So, if you want to upload Blu-ray/DVD movie to Instagram, firstly you should rip and convert Blu-ray/DVD to Instagram supported file formats with Blu-ray/DVD ripper software. In this case, aPubsoft Blu-ray Ripper just meets your needs, which works as a Blu-ray/DVD movie editor as well. With it, you can fast rip videos from Blu-ray and DVD for sharing on Instagram and trim the videos into multiple segments with short duration. If you’re using a Mac, simply turn to aPubsoft Blu-ray Ripper for Mac to convert Blu-ray/DVD for uploading to Instagram on Mac OS(Sierra, El Capitan included). How to upload Blu-ray/DVD movies to Instagram for sharing on Mac or Windows? Launch the Blu-ray/DVD to Instagram Converter, inserted Blu-ray/DVD disc to Blu-ray drive, click “Load Disc” button to import Blu-ray movies to the program. You can preview the imported files with the built-in player provided by the best Blu-ray Ripper. Click on the pull down menu of “Profile” and choose “HD Videos > HD MPEG-4 Video (*.mp4)” as the target format. H.264 MP4 is the best video format for Instagram. 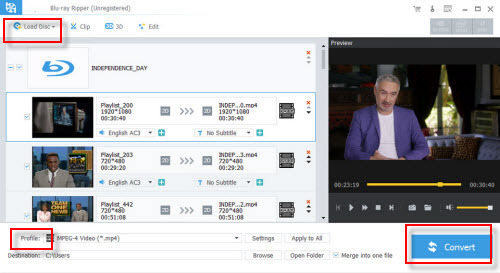 a. Click “Edit” button and you can trim, crop or adjust the video with the built-in video editor to get the very part and effect of the video you want. b. If the video clips you’ve trimmed are still longer than 15 minutes, you can choose to split the Blu-ray/DVD movie files into smaller parts so as to share on Instagram without limit. Click the Split icon in the main interface, and you can cut your files according to time length and file size. Click “Convert” button to convert Blu-ray/DVD to H.264 MP4 for uploading to Instagram on Windows or Mac. 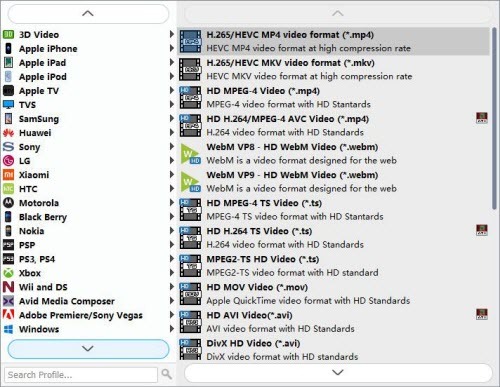 After the conversion, tap the “Open Folder” button to locate the converted H.264 MP4 files there. Just sign into Instagram and upload the converted Blu-ray/DVD videos onto Instagram sharing with anyone.